When you decide to become an online seller, you are faced with a few challenges. One of them is how to best manage your logistics. As an Amazon seller, we have you covered with multiple options. For example, in our previous posts, we have spoken about Amazon’s FBA service that lets you stock your products in the Amazon fulfilment centres (warehouses) and when you receive an order, Amazon packs, ships and delivers your product to the customer. This seamless facility has helped thousands of sellers across the country. Another option is Easy Ship, for sellers who wish to stock products in their own warehouses but still need help with shipping and delivery. Under Easy Ship, sellers store their own products, pack them when they receive an order and then hand it over to the Easy Ship Pick up executive, who then ships the product and ensures timely delivery. This service was exclusively launched in India to help sellers who like to manage their own inventory and have complete control over it. How can I register to start using Easy Ship? As soon as you register as a seller on Amazon, you are automatically signed up for Easy Ship. You can avail Easy Ship services from your first order itself. What is the fee for Easy Ship? Local Fees - Applicable when the pickup and delivery of the products happen in the same city i.e. 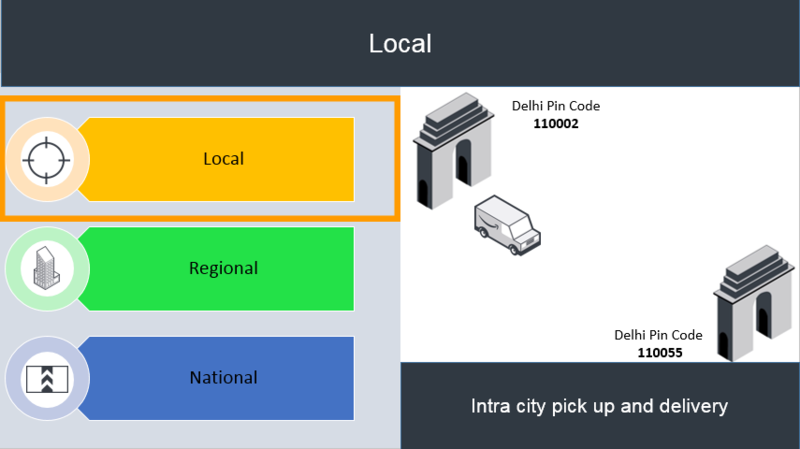 intra-city pickup and delivery. 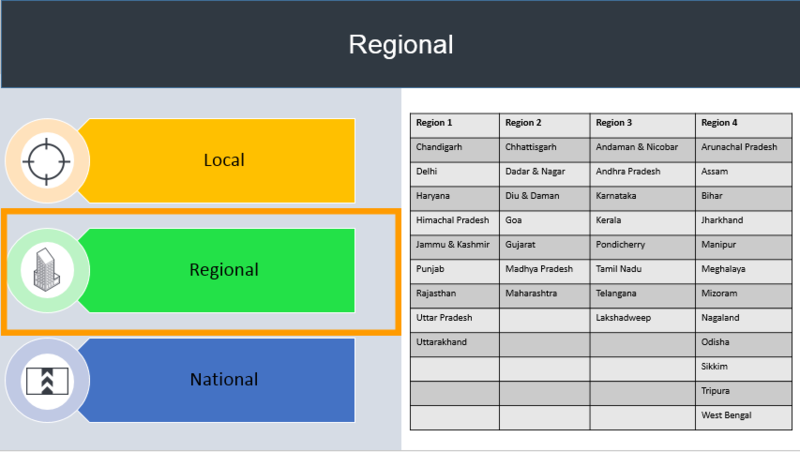 Regional Fees - There are four regions as per the Easy Ship module. This fee will apply if the shipment moves within the same region, but the delivery is outside the pickup city. National Fees - This fee is applied if the shipment moves across regions for example region 1 to 2, region 2 to 3 etc. (Length x Breadth x Height)/5000 - where length, breadth and height are in cm. 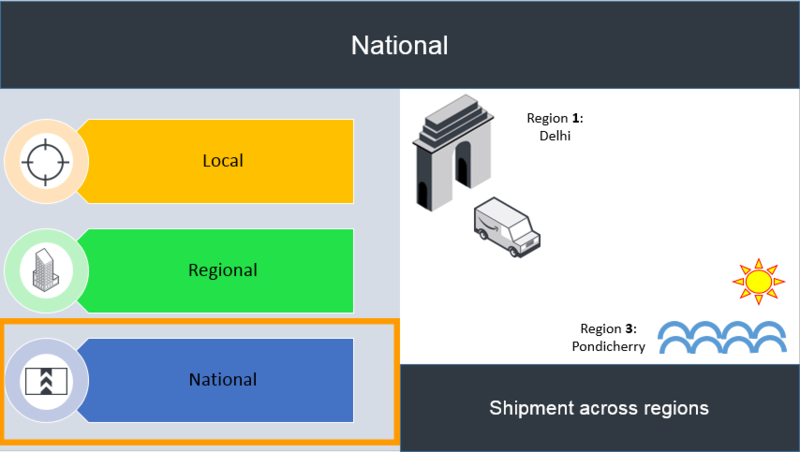 For example: Order X has to move from Chandigarh to Delhi, regional shipping fee will apply (since it is moving within the same region). 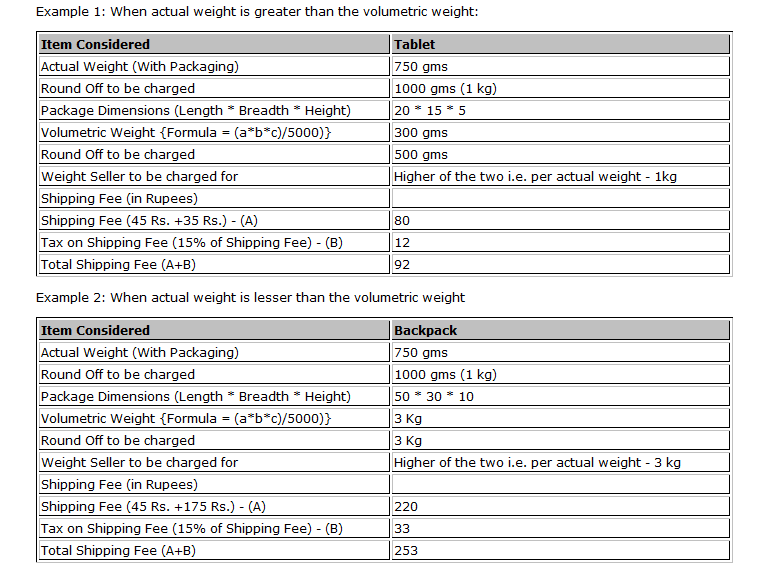 The actual weight of the product is 5.2kgs rounded off to 6kgs whereas the volumetric weight is 3kgs. The actual weight being higher at 6kg, it will be considered to calculate the fees. Since it is an oversized item (6kg is above 5kg) the fees will be calculated accordingly. Please note that the fees in the above example are indicative for explanation purposes. To see the latest fees, please check the pricing page. To go through the entire Easy Ship rate card, and start computing it by yourself, you can click here. If you would like to start selling on Amazon and start using Easy Ship, please click here.